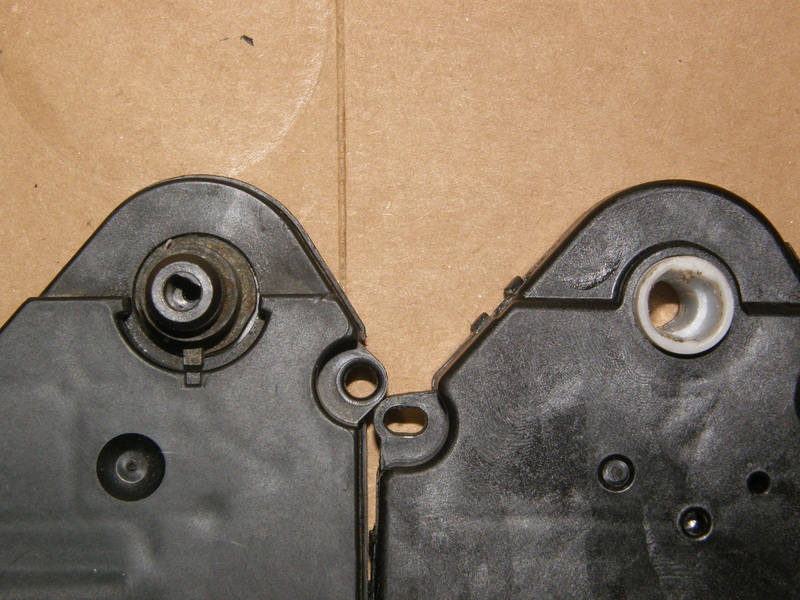 The one on right has a shoulder around the base of the white plastic shaft extending from the main body of the housing. It is this shoulder which keeps the assembly from sliding all the way into the ac/heater box. All after market replacements that I have found have this same incompatibility even though they claim to fit...they do NOT. Genuine gm part number 16124952 is the only one, in my experience, that will fit.